Will Noah is editorial assistant at the Criterion Collection. His writing has appeared in n+1, BOMB, and Public Books. 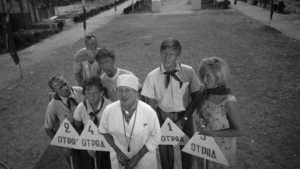 The director of the war masterpiece Come and See got his start lampooning social conformity in 1960s Soviet life. Two of his early-career gems are now available on the Criterion Channel on FilmStruck.